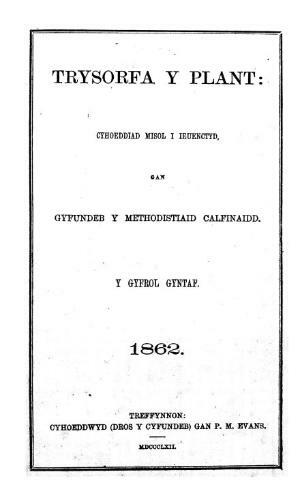 A monthly Welsh language religious periodical serving the children of the Calvinistic Methodists that also had a large circulation amongst children of other denominations. The periodical's main contents were articles on religion, history and the natural world, alongside biographies, poetry and music. Amongst the periodical's editors were the minister, Thomas Levi (1825-1916), the minister and poet, Robert David Rowland (Anthropos, c.1853-1944), and the minister and poet, William Nantlais Williams (1874-1959). Associated titles: Antur (1966).